Stronger-than-expected euro zone PMI data pushed the euro higher on Monday, but it hovered close to seven-month lows on concerns over the indebtedness of some euro zone countries. The dollar steadied but stayed close to a six-month high versus a currency basket after Friday's stronger-than-forecast gross domestic product data suggested the United States was recovering faster than the euro zone and Japan. Analysts said the euro remained the most vulnerable currency as concerns grow about the fiscal position of countries such as Greece and Portugal, although above-forecast final euro zone PMI data gave a slight boost to sentiment. The latest data from the Commodity Futures Trading Commission showed speculators increasing bets against the euro in the week to January 26 and going long on the dollar to reverse a net short position the previous week <IMM/FX>. "The latest IMM data showed euro-dollar shorts were perhaps overextended, with this morning's PMI number providing an excuse for some short-covering, though overall the euro still looks vulnerable," said Mark Oswald, FX and rates strategist at Monument Securities. By 1029 GMT (5:29 a.m. EST), the euro traded just off the day's high at $1.3905, up 0.3 percent on the day, but still not far from an earlier low of $1.3852 on trading platform EBS, its weakest since early July. Traders said the next downside level to watch was $1.3850, where a large option barrier was said to reside, being protected by a sovereign name. 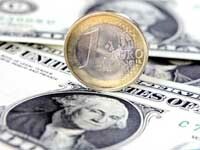 The euro lost more than 3 percent last month against the dollar and around 6 percent against the yen. The dollar index, a measure of the greenback's performance against six major currencies, was slightly weaker at 79.359, off an earlier high of 79.534 .DXY, its strongest since late July. Among higher-yielding currencies, the Australian dollar fell 0.3 percent against the dollar to $0.8820 and by 0.6 percent against the yen to 79.62 yen. The Australian currency earlier fell to its lowest since mid-December versus the dollar and the yen as investors unwound yen-funded carry trades on a report citing a British regulator saying such trades were "economically valueless." Against the yen the dollar was steady at 90.27 yen, holding just above its 100-day moving average at 90.25.